…find me still. This time it comes papered in exotic prints by flavor paper. lush and tropical this takes me back to the beautifully painted storefronts that are woven throughout the neighborhoods of ipanema. 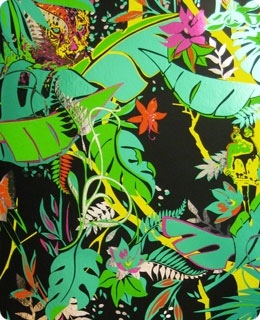 i love the pop of fuchsia and the zing of yellow against the juicy greens and turquoise! the black ground shows off the saturation and makes these colors hum! the easily recognizable sidewalks of copacabana are beautifully depicted in this earthy print embossed with crocodile texture. 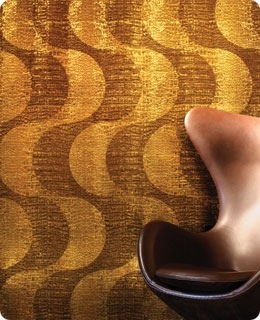 quietly sophisticated, the rubbed gold imparts a look that is lux. 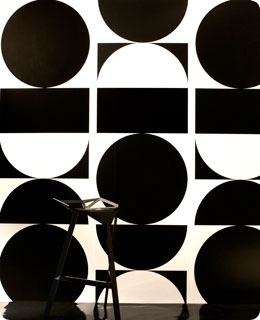 this bold black and white print embodies the modernist movement that flourishes in the heart of colonial brazil. it is the very antithesis of the natural terrain. beautiful and vastly different interpretations of today’s brazil, visit flavor paper here.